Myron S. led us in the Pledge. John P. introduced visiting Rotarians Robin R. seeing family from Seattle, and visitors/prospective new members Erika B., Erik B., and Diane. An inspirational video was shown illustrating the good works around the world of The Rotary Foundation. It encouraged members to be people of action, and change the world by picking a cause important to them. Marlon S. had a We Care announcement: Leo is at Good Sam Room 314 and could use a visitor or phone call. 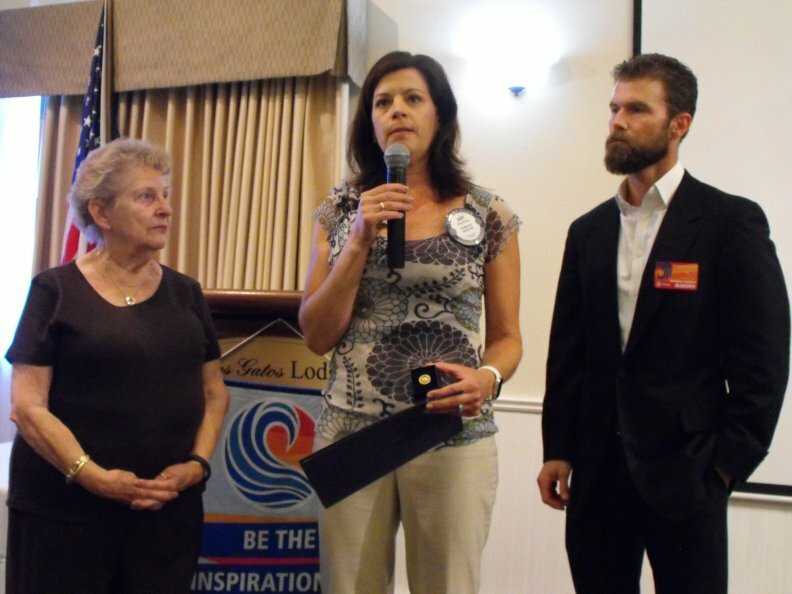 Amy P. announced the Interact Club at Los Gatos High School needs a Rotarian to attend an Ice Cream Social for clubs this Thursday, and Suzanne B. stepped forward. Avis L. presented Amy P. with her Paul Harris award for giving. Her family supports 2 Interact Clubs in other towns and was able to get $20,000 in company matching funds. Gae L. announced the next first Thursday happy hour is next week Oct 4 at Number 1 Broadway, 5-7pm. There is no food served so if you want to bring an appetizer to share, see Gae. 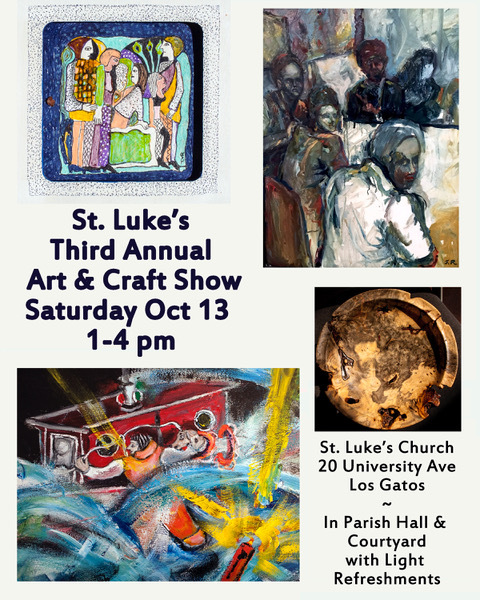 Gordon L. announced St Luke’s 3rd Annual Arts and Craft Show (including his amazing woodworking items) benefitting St. Luke’s homeless services. It will be held at St Luke’s Oct 13 1-4, same place as we serve our quarterly homeless brunch. Includes music, refreshments and 25 local artists. Free admission. John P. announced a committee meeting would be held after today’s meeting for the new member mentor program. 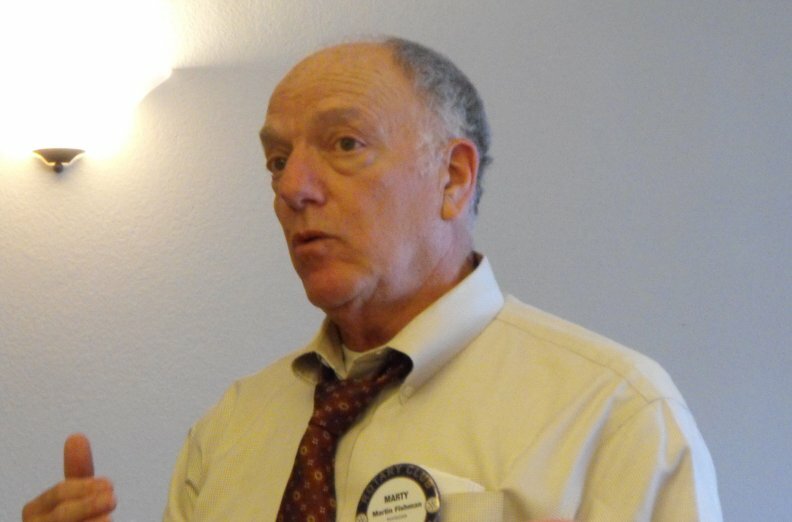 Marty F. promoted the Rotary Avenues of Service event Oct 4. Many inspiring service opportunities are on display, and there are great speakers. Details and registration can be found here. The Boy Scouts have a Court of Honor event tonight that President Andrew H. and others will be attending on behalf of our club. Our club has supported this troop since 1924. Suzanne B. presented details on the Rebuild Together project coming up on Oct. 27. She introduced the widow whose San Jose house we will be sprucing up, so that she may stay living in it. All are welcome. If you have specific construction skills let her know. See Dave D. or Suzanne B. or go to our club website to sign up. She also showed a fun video compilation of our last St Luke’s homeless brunch. Amy P. encouraged all to check out the many inspirational videos available on our website. Nicholas W. introduced his guest Cindy G. who is running the Wreaths Across America program at LG Memorial Park. The national program lays wreathes on veteran’s graves to honor their service. They aim to serve vets by remembering, honoring and teaching. Her goal this year is to lay wreaths on all 2800 vet grave sites at LG Memorial this year on Dec 16 and are looking for sponsorships. Marty F. introduced today’s speaker State Senator Jim Beal. 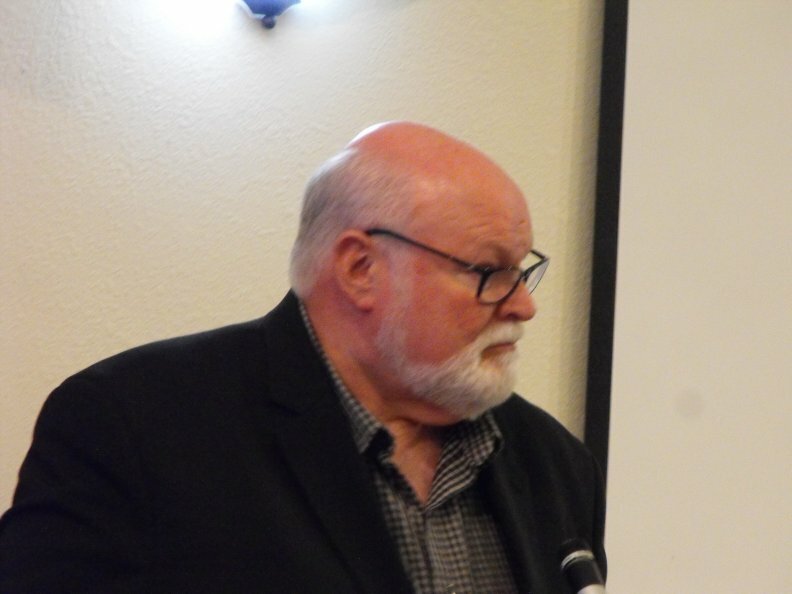 He has spent 30 years in public service and is the Senator for the 15th Senate District, serving 1 million people in parts of San Jose, Los Gatos and surrounding areas. He says he has a pragmatic approach and therefor does not aspire to working in DC. 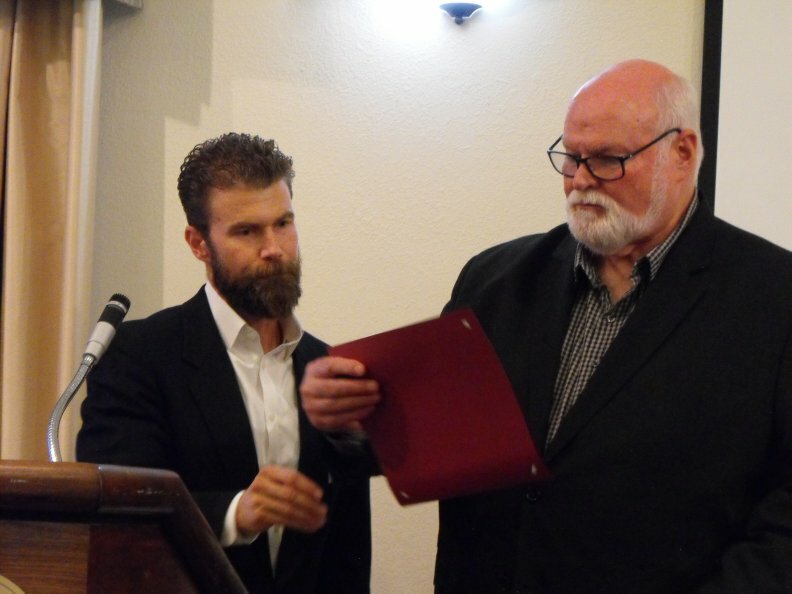 His grandparents and father lived in Los Gatos, is 1 of 10 kids, and there are 6 Senator Beal’s in his family history. Elimination of the unfair cash bail program. Accused will be evaluated for release based on danger to society and flight risk etc. instead. There will be a hearing Thursday regarding a DMV audit. He recommends an audit but it won’t be a political or gotchya audit. It will be to see what technology and process improvements can be made to reduce wait times and be more efficient. There is an Abuse of Disabilities Act law that was passed to prohibit flagrant lawsuits. It requires the Attorney General investigate and possibly disbar lawyers that abuse the system for their benefit. Next week’s speaker is Janis Baron, Founder of Sunday Friends (the working alternative to charity).